Get more information or quote on our business high speed internet access, fixed wireless service, or VoIP services. 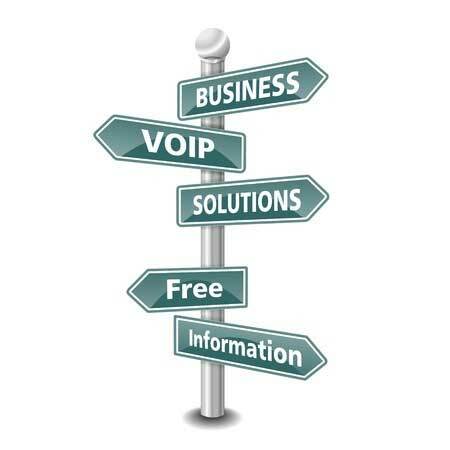 Voice over Internet Protocol (VoIP) is the new way to provide phone service. You see it everywhere, usually being touted for it's low cost and built-in long distance. However, it has several fundamental differences from the old-style phone system which makes for a radical change in how the phone system will operate from now on. We take advantage of these differences to allow us to sell a specific VoIP telephone service for far less than anyone else, while maintaining margins and profits. Prior to the advent of VoIP technology, which is a logical outcome of both the Internet and telephone de-regulation, phone service had not fundamentally changed in almost 100 years. To get phone service, you had to get a phone line from the local phone company to talk on. If you needed to be able to make 5 phone calls at the same time (in your office, for example) you needed 5 phone lines. In most cases these were physical pairs of copper wires from your location to the Phone Company's Central Office (CO). There, your calls were switched to other phone lines dependent on who you were calling, and possibly to a Long Distance carrier to call someone in another city or state. Incoming calls were likewise switched at the CO. But always if you had all your lines in use and another call came in, it got a busy signal (or more recently went to Voice Mail); there was always a 1:1 relationship between the number of physical lines and the number of simultaneous conversations. The reason for this is that the standard phone system still is organized like it's original analog design from years ago. When you are talking on a line, you use up the entire line all the time even if you're not speaking or on hold. This made sense originally when the phone lines were actually switched with mechanical switches to connect calling parties, but that fundamental design concept has never been changed by the Phone Companies. Even with the advent of Digital Switches and Fiber Optic technologies, the basic design was still one “line” per call. Since most of the time you are having a conversation there is a lot of silence (at least 50% of the time on each end unless you are both talking at the same time) this isn't really a very efficient way to make use of the phone network. But since all those wires were already buried in the ground and running everywhere, and paid for, that's the system they stayed with. Further, each physical line had a phone number associated with it. Originally this was done so that the CO had a way to tell lines apart; more recently it was used to keep track of billing for your account. But everyone got used to having this correlation: one physical line for one phone number for one call. Here is the secret they don't want us to know: VoIP changes all this. Instead of having to have a phone line for each call, since VoIP breaks up your conversation into many tiny packets of data which are sent individually over the Internet to the person on the other end, packets (space on the Internet) are only sent when there is data (noise). So when you're not talking, that space on the network connection for those seconds can be used for something else. Also, the number of bits that need to be sent in each packet changes in real time as you make different sounds. So instead of a conversation needing a complete phone line all the time, or an entire PCM channel (the way Phone Company T1 circuits do ) at 64 Kb/s, you only need space on the Internet for a small portion of the time. So a VoIP call may only take up 10% of the bandwidth (network space) that the same call takes up on the older analog system. Which means you can have 10 calls in the same bandwidth without changing anything else. Which means the actual cost of the call is at least 10 times less to make happen. And since this is all happening on an Internet connection that the end user is already paying for, rather than expensive copper lines that they need to pay to put in the ground, the costs associated with delivering VoIP service are very low.